Bolivar Girls Tennis – State runner-up! Congratulations again to Coaches Roller and Ware and all the Lady Liberators. Grantland has reprinted a brilliant and just plain fun to read piece by a guy who changed writing about a guy who changed tennis. 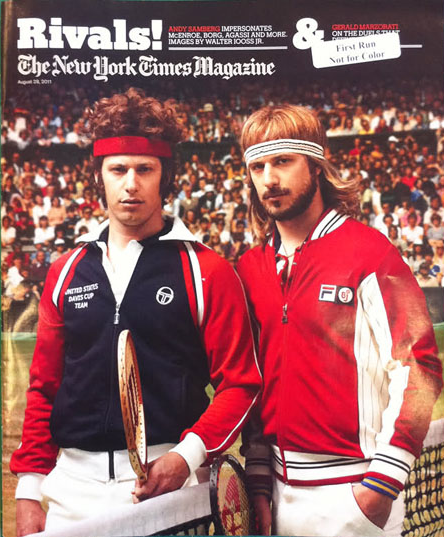 Link below of really fun video of Samberg’s photoshoot from NYT. 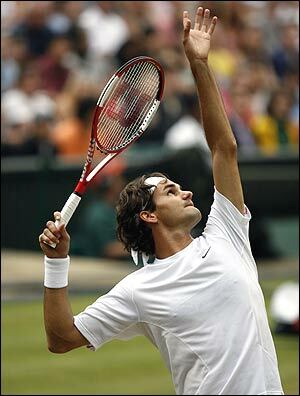 One of the best tools available to young tennis players today is the amazing variety of videos of great players hitting the ball. By looking at a variety of players, you get a real sense of what is important and common to all of them. The slow motion videos are especially useful because some of the important subtleties get lost when you watch these powerful and beautiful strokes at normal speed. Enjoy. Please let me know which ones were especially helpful to you (I obviously liked all of them for one reason or another). Note: I left out the videos of Nadal because although he is an amazing player and ball-striker, he is left-handed which can be confusing for instructional purposes for the standard right-hander. If you’re left-handed watch Nadal, channel Nadal, be Nadal.